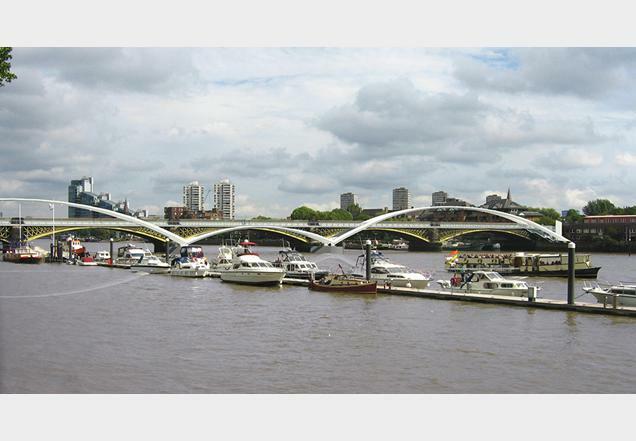 The London Assembly has given unanimous backing for this £24 m speculative River Thames crossing proposal. The motion was brought forward in support by the Green Party. The Assembly members on 7 September urged the London Mayor to lobby government for financial support and appoint Transport for London as the delivery agent to help it progress. 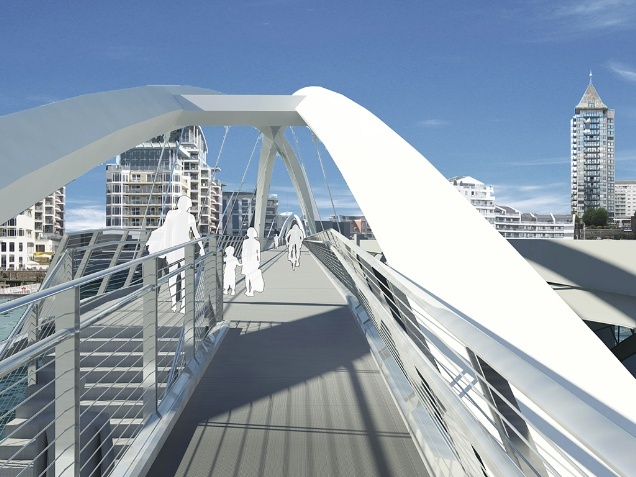 The 240m pedestrian and cycle bridge was designed by One-World Design Architects. An announcement is due from mayor Sadiq Khan this autumn. 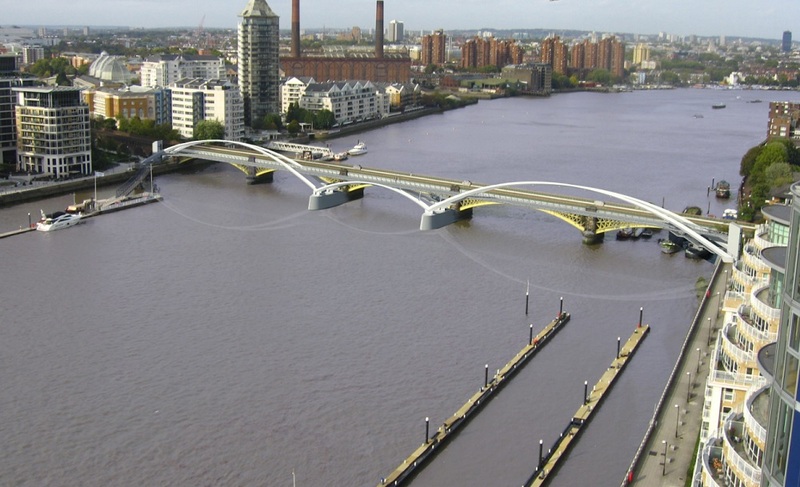 The bridge already has planning permission from boroughs on either side of the River Thames. The London Assembly issued a statement saying a crossing in this location “could encourage more walking and cycling, reduce overcrowding on cross-river bus services and, by providing a link from Battersea to Imperial Wharf station, could reduce pressure on Clapham Junction station”. London City Hall Assembly Member Caroline Russel tabled a motion in support of the Bridge at the London Assembly (Plenary) on 7th of September. It was seconded by her Green Party colleague Sian Berry AM. “This Assembly notes proposals for a Diamond Jubilee Bridge, a pedestrian and cycle crossing between Battersea and Fulham, for which planning permission and Mayoral consent have been granted. The Assembly notes that a crossing in this location could encourage more walking and cycling, reduce overcrowding on cross-river bus services and by providing a link from Battersea to Imperial Wharf station could reduce pressure on Clapham Junction station. The Assembly acknowledges the significant public support for the scheme and the absence of any ongoing liability. Transport for London is working with Wandsworth Council to assess the costs and benefits, and to explore opportunities to secure the outstanding funding needed. The architect responsible for a proposed bridge across the River Thames has questioned ministers’ motives for failing to offer the scheme a key funding break granted to Thomas Heatherwick’s controversial Garden Bridge project, reports Building Design. 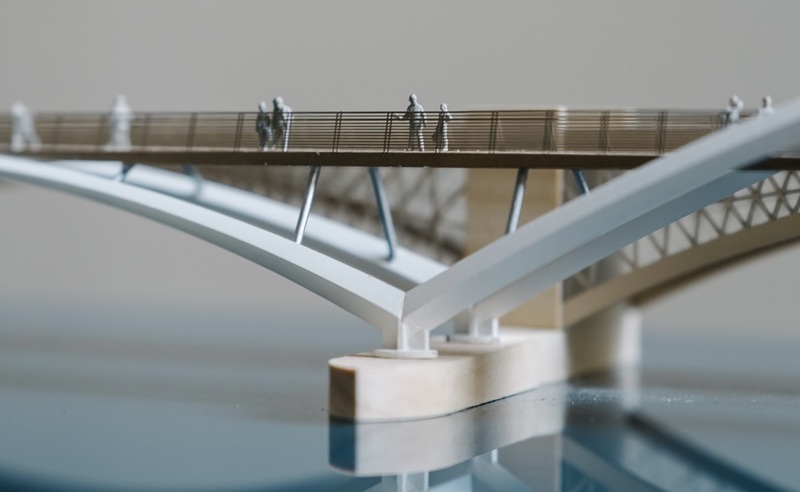 One-World Design Architects already has planning permission for its speculative pedestrian bridge linking Battersea with Fulham, and piling work on one side of the Thames is being undertaken through a s106 agreement related to a riverside development. A bridge design is being proposed by architects One-world design to sit alongside the existing Chelsea Railway Bridge. A new connection between Chelsea Harbour and Battersea would be beneficial to the communities, transport links and businesses on both sides of the river. One-world design and Expedition Engineering have progressed designs for the new bridge. the designers are aiming to submit The Jubilee Bridge, named due to its timing and its proximity to the departure point of Her Majesty the Queen as she joins the Diamond Jubilee Flotilla, for planning approval by the end of April 2012. The architects’ intention is to achieve planning permission prior to June for this river crossing in Chelsea so that is can be announced as a legacy project as part of the celebrations. They are aiming to secure funding for the bridge’s development and construction going forward and this could be helped by raising the profile of the need and possibility of this new bridge in Chelsea.